A few years ago we decided to rid the upstairs to our garage of all its junk and make it into a sports bar/ rec room. This project had been on the back burner ever since we built our house many years ago. We decided to make a pub area with refrigerator, wide plank floors and our old claw foot table. What we needed was a cupboard to store cups, napkins, plates etc. I have always like the look of a pie safe or jelly cupboard with tin inserts. After pricing them at a local furniture store and discovering how much they cost , I began to formulate a new plan…. . At the time we were in the middle of cleaning out my elderly mother’s basement when I came across the perfect piece. I found an old wooden closet that was painted an unattractive dull gray. It had a few battle scars in the wood as it had been around for many years. 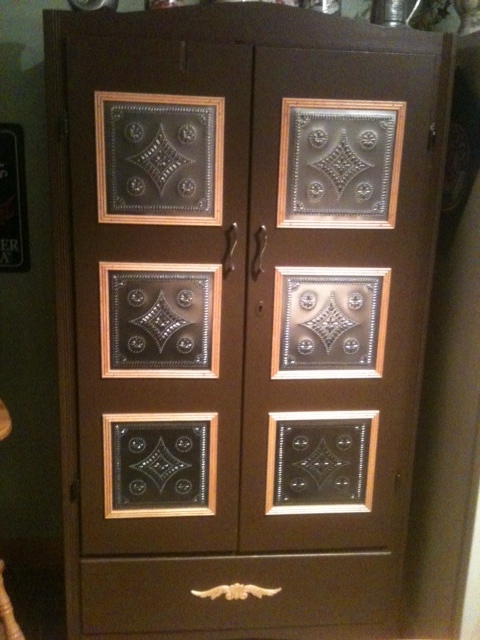 Many of the “new” cupboards had a weathered look to them. So I theorized I had found a pre weathered piece. I painted it brown inside and out. 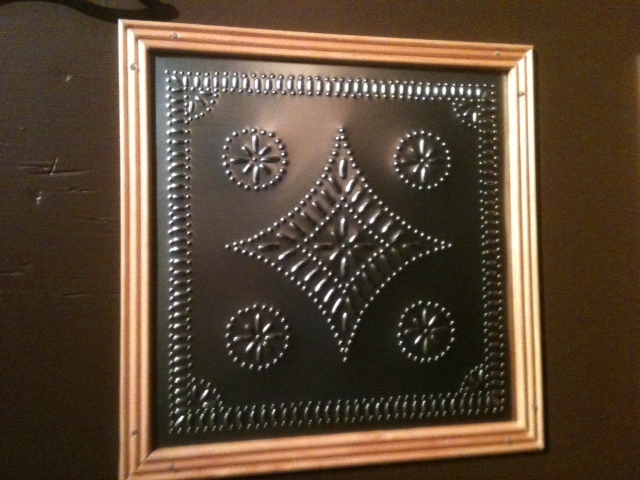 I found a source online (www.piercedtin.com) for tin and all the tools to do the punching. After pricing out the project, I found it would be cheaper to buy the pieces of tin pre-punched. 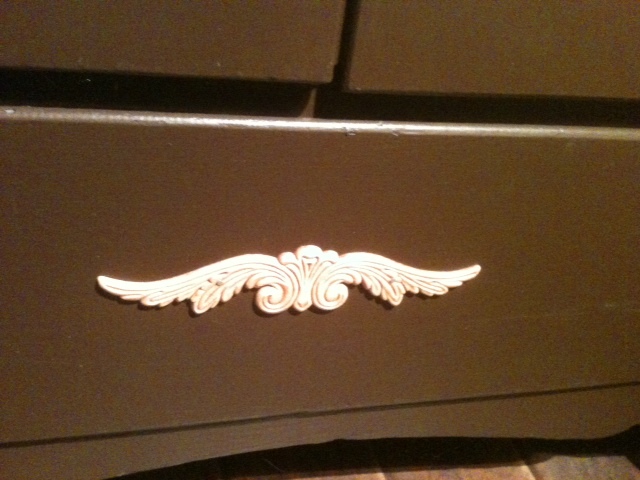 So we ordered the tin, surface mounted the pieces, added some wood trim and appliques and handles. We were happy with the end result. Always a good feeling to repurpose an old object and the cost was $100’s of dollars less than buying new.